If you edit video and want precise edit, the only way of doing that is with a specific frame. Seconds are not precise enough because there are 24 to 30 frames per second. 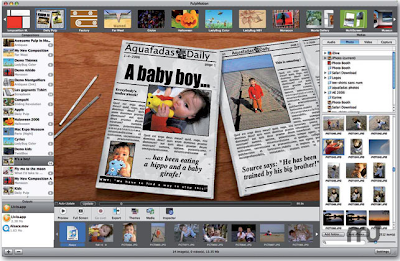 It is possible to have QuickTime display frame information instead of minutes and seconds. To do that, click on the time at the left of the timebar and choose "Frame number". You can easily switch back to Standard at anytime. 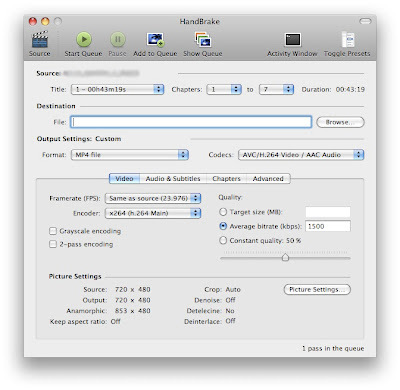 Handbrake is a free application that lets you converts DVDs to H.264 QuickTime files that are compatible with iPods, iTunes and Apple TV (or simply for watching on your Mac, but while reading from the hard drive). Encoding to H.264 can take a while, especially if you Mac is not the latest and greatest. My MacBook encodes at about 24 frames per second (real time) and my Mac Pro does it in about half of real time (50 - 60 frames per second). The "Add to Queue" feature can be really useful when you are encoding a DVD with multiple TV shows or you are on a computer that has more than one optical drive. That way, you'll be able to create a list of tasks to do and Handbrake will work the whole list without you having to change the settings again. I found another way of using it however. You can set all the settings and get everything ready and instead of pressing "Start", you press "Add to Queue" (even for the first one). You can then do other stuff and when you are ready to leave your Mac encoding, you are ready to press play without having to go through the settings. 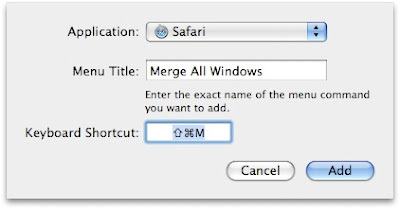 Merging all windows in Safari! 1. 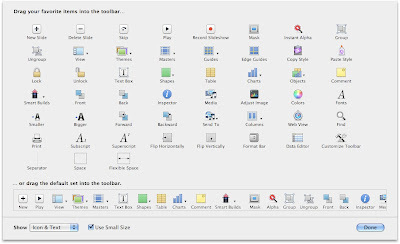 Open System Preferences and Keyboard & Mouse. 2. Click on the "Keyboard Shortcuts" tab. 3. Click on the "+" to add one. 4. Select "Safari" for the "Application". 5. Enter "Merge All Windows" as the Menu Title. 6. Choose the keyboard shortcut you want. New effects for Photobooth and iChat! This tip requires Mac OS X Leopard. 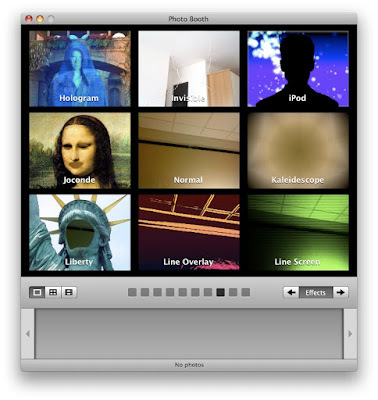 Apple released many new iChat and Photobooth effects in Mac OS X Leopard, but it would be cool to have even more. There is a great third-party application that adds 48 new effects. According to the developer, it works for G5 and Intel powered Macs (some G4 might be supported). The integration is great. Once installed, it works and looks just like effects from Apple. The collection of effects is called "More iChat Effects 1.2" and can be downloaded here from the Apple site. Even more power in screen sharing, is that even possible? I might be a bit late with iCards, but they are still useful for birthdays and tons of other occasions. The thing is that sending cards one by one can take hours. Sending them in bulk looks really weird. 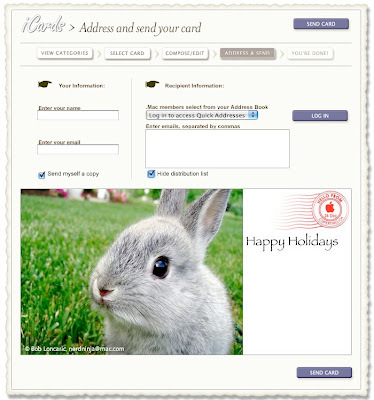 There is a great option on the Apple iCards website however. It is "Hide distribution list". You can then compose a message that fits for a few people and save a lot of time. The ones receiving it will never know it was sent in bulk. iCards is a service of dotMac but is offered free by Apple even if you don't have a dotMac account. You can check it out here. If you want to run software update but don't want to restart your computer now, you have to check to see if the update requires a restart. It is not obvious at first, but the grey icon at the left of the update tells you if it requires a restart. When the icon is there, you need to restart after doing the update. 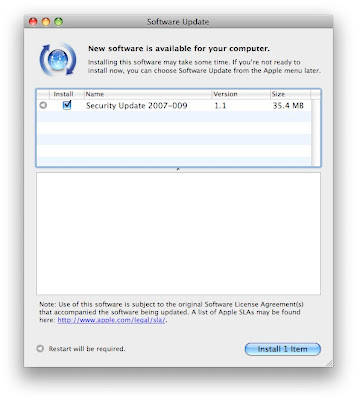 In general, Security, Mac OS X and QuickTime updates require a restart. 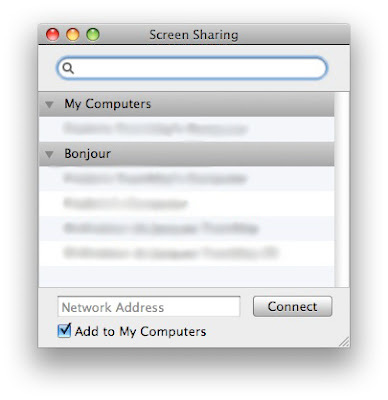 Disconnecting the remote computer in screen sharing! 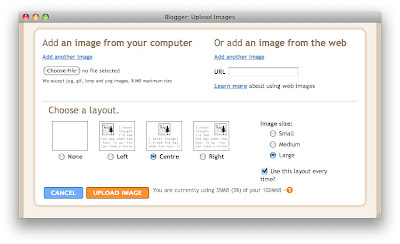 Grouping and ungrouping images in Pages! 2. Add "Group" and "Ungroup". 3. 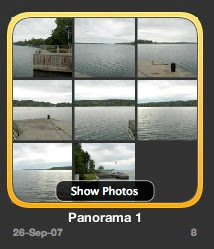 When you select two images, click "Group" and they will now move and behave as a single image. Mail in a more widescreen way! This applies to both Tiger and Leopard. The Mail application is great, but it could offer more when it is used on a widescreen display. It would be nice to be able to use the whole height real-estate to read the email. 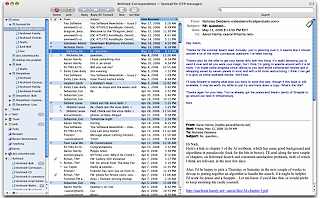 It is possible to change the look of Mail so that it appears as three columns. An easy way of doing this is with the Mail plugin called Letterbox. What I really like about this plug-in is that the DMG file where you install the plug-in also includes "MailPluginManager". It is then very easy to uninstall these plugins in the future. You can learn more or download this application here on MacUpdate. 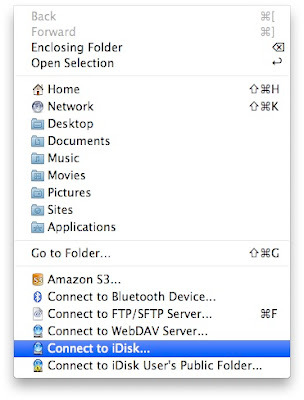 Tip #2: Transferring files to iDisk! Don't forget to check out the tip posted earlier today. 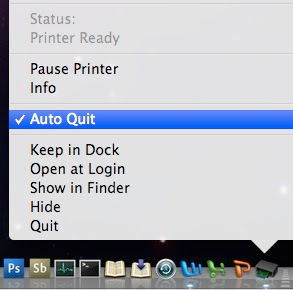 This tip is for .Mac users. If you use .Mac, you know how slow transferring to iDisk is. It is normal for transfers to take a while because the upload speed of your DSL or Cable connection is much slower than the download speed. In the last few days, when I transferred to iDisk, the Finder actually crashed. The problem with the long transfer is also that the Finder doesn't give you any idea of how much more time it will take. Let's say I transfer a 25 MB file, it instantly says "25 MB of 25 MB copied (closing file)" and that step lasts forever. The best solution I have found is to use ForkLift (part of the MacUpdate bundle). ForkLift actually offers iDisk transfers. In my experience, the speed is very close to an FTP transfer and it actually has a progress bar (unlike the Finder). 1. Close Screen Sharing and open Terminal. Don't forget to check out the tip posted earlier today. Pulp Motion is an application that lets you create animations with photos and one of the 35 included templates. It is a shareware that is currently part of the MacUpdate bundle. The MacUpdate bundle now includes 13 applications (Rage MapDesign added today) and is available here. I wasn't really expecting much from this application, being used to the advanced pro apps, but I think it is one of the apps in the bundle that I use the most. It is a solid application with lots of customization options. I was working last week on a slideshow DVD in DVD Studio Pro. I was doing an hybrid disc with both a regular version and an HD version on the same DVD. I didn't use any animations in the main slideshows, because I wanted to keep a simple look. I was however able to create a great intro animation that loads right before the menu. The export features are very elaborate, offering presets for iPod, iPhone and Apple TV, while also offering advanced Quick Time export. I think the only negative point I see with this app is the lack of third-party templates. I would say overall that it is a 4.5/5. Controlling other apps with the Apple remote! The Apple remote is now included with most new Macs and the reality is that it could serve many other purposes. It currently works with Front Row, iTunes and Keynote (maybe more, I am not sure). There are many other applications where it would be useful. One in particular is PowerPoint. There are a few third-party applications that can customize the system to make this happen. A free one that I like is iRed Lite. You can get more info or download it here from MacUpdate. 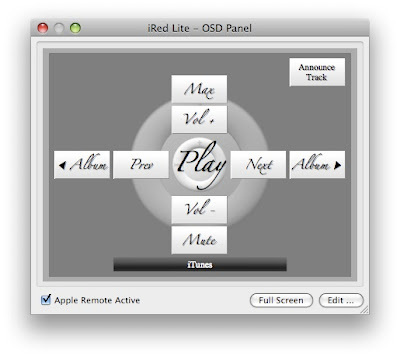 Red Lite can be activated by holding down the Menu button on your Apple Remote. 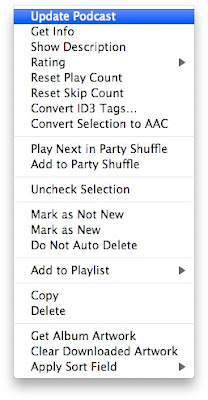 To switch to another layer, QuickTime e.g., simply hold MENU for a second, then navigate through the sections using the right/left buttons on your Apple Remote, then press MENU once. That simple! The new mosaic screen saver! 1. Open System Preferences, Desktop & Screen Saver. 2. 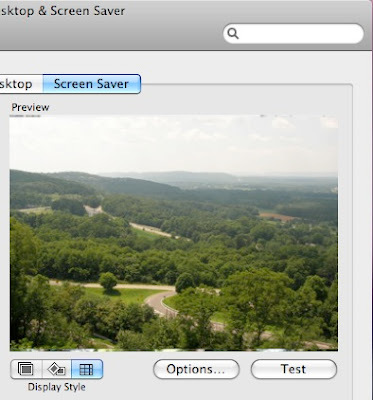 Choose an iPhoto screen saver. 3. As the display style, select the one at the right called mosaic! Tip #2: Things, a to-do application! I really didn't understand the point of this app at first. I thought that we already had everything we needed with to-dos in Mail. The truth is that I never once used to-dos in Mail, but having it totally separate, I started using it (I'll see if it goes on!). The interface is very intuitive and it has the "shiny" iTunes look. I haven't found any bug yet and it seems very solid for an alpha version. Another thing is that deleting works like in iPhoto, it goes in a separate Trash for this application. Emptying the trash is not obvious because it is not possible to right-click on the trash and empty it from there. You actually have to go to the "Things" menu or use the shortcut "Shift - Command - Delete" (it's the same shortcut than in the Finder so that is good). One thing that will certainly be missing in the future is iPhone synching. 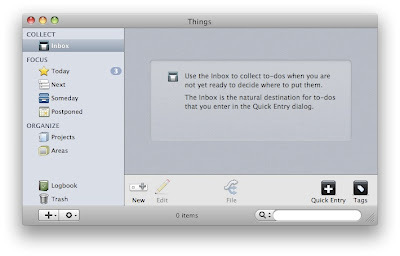 Apple will most likely add iPhone synching to Mail's to-dos, but the chances of that happening with Things are slim. Overall, I would say it is 4/5. Copying and pasting in screen sharing! 1. When you are in screen sharing, go to "View" and choose "Show Toolbar". 2. A toolbar pops up with only three icons. The two at the right will let you exchange the content of the clipboard. The one on the left puts what is in your clipboard on the remote computer while the other one retrieves the info in the remote computer clipboard. 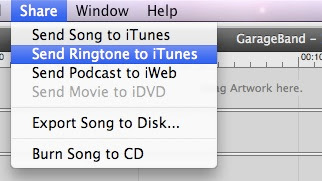 Tip #2: Creating free ringtones now supported by Apple! Don't forget to check out tip #1, posted earlier today. 1. Create or import what you want to transform into a ringtone. 2. Cut it down if it is more than 40 seconds long. 3. Click on "Share" and choose "Send Ringtone to iTunes". The ringtone will be created and iTunes will load in the "Ringtones" section with your new ringtone that you are ready to sync to your iPhone. 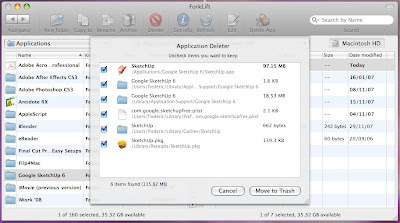 Tip # 1: ForkLift is an application deleter too! Monitoring the state of your battery! Laptop batteries usually degrade rapidly, but it's hard to tell unless you precisely calculate how much time it lasts every time you use it. I used to monitor it using a great application called CoconutBattery. It unfortunately doesn't work in Leopard and it hasn't been updated yet. I found this alternative that was updated recently called "Battery Health Monitor". You will get the "Original Capacity", "Current Capacity", "Current Charge", "Charge Cycles" and "Voltage". One thing to keep an eye on is the number of cycles. According to Apple, the battery should still provide 80% of its original capacity after 300 cycles. You can also check out the "Current Capacity". Depending on what that number is, you might be eligible for a free battery replacement if your Mac is still under warranty. The result for my MacBook came out pretty weird, I didn't know a battery with over a hundred cycles could have more capacity than the original capacity. 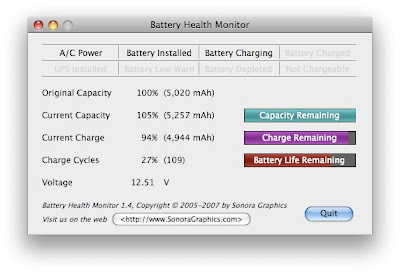 You can get more info or download Battery Health Monitor here from MacUpdate. I rarely post about something else than Mac tips, but I think this promo is worth it. The MacUpdate promo includes 10 applications, worth $646.75, and is on sale for $49.99. The applications are ForkLift, RapidWeaver, Swift Publisher, Marine Aquarium, XSlimmer, Memory Miner, Yep, XMIND 2008 Pro, iStabilize and PulpMotion. I bought the bundle, I love it and I will probably have Mac tips related to that soon (I will most likely post two tips on these days so that I don't leave anyone out). You can get more info or buy this bundle here on MacUpdate. Edit: SRS iWow was added to the bundle for free. It is now worth $666.74. You'll also get it if you already bought the bundle. The backup schedule of Time Machine! 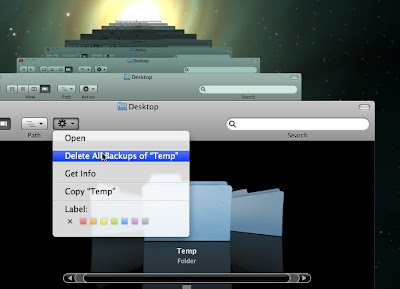 A great tip submitted by Dominic P. Tremblay: The backup schedule of Time Machine! I have to admit, looking at Time Machine's preferences, it is somewhat disappointing. I think Time Machine is really great, but its weakness is that it is not customizable in the slightest. Some third-party applications have started cropping up, changing that. 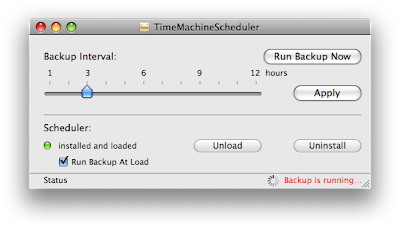 There is a great one called "TimeMachineScheduler" that lets you change how much time there is between backups. It will let you set anything between 1 to 12 hours. You can download or get more info about TimeMachineScheduler here on the developer's site. Thanks for the tip Dominic! Setting the time per slide of a Keynote presentation! 2. 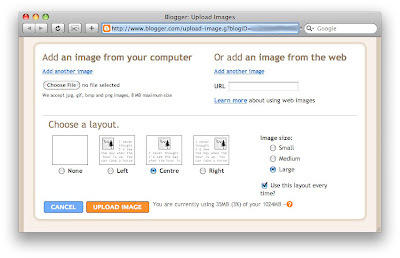 Drag "Record Slideshow" to the toolbar. Free license of DivX Pro! Searching more efficiently in the dictionary! This is for the Leopard version of dictionary. 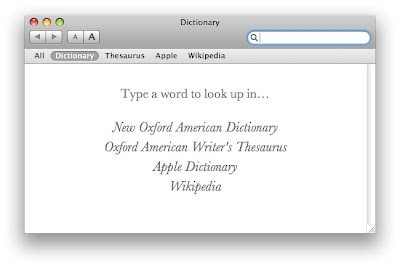 The dictionary on Leopard includes searching on Wikipedia by default. This changed the way I use the dictionary because if you keep "All" selected so that it searches both the Dictionary and the Thesaurus, it will also search Wikipedia and slow everything down. The way I do it now is that I switch between Dictionary and Thesaurus to keep everything going fast. The disadvantage is that I have to use the mouse to switch. 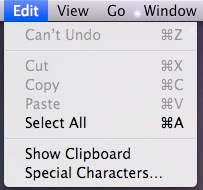 There is a very cool Safari-like keyboard shortcut however. Just like how you can access bookmarks in Safari, using "Command-0", "Command-1", "Command-2" and so forth, will switch dictionary instantly. It is obvious which shortcut goes with which, because it follows the order like in the top bar. This is for both Leopard and Tiger. I think there is a bug in the way iTunes handles podcast updating, but there thankfully is an easy solution. It just happens after a while that new episodes of specific podcasts are not automatically downloaded anymore. Worst, you know there is a new episode, you click on "Refresh" in iTunes and it just doesn't refresh. That can happen when iTunes checks to see if there is a new episode, but the connection times out. A grey exclamation point then appears at the left of the podcast where you normally get a blue dot with a new episode. I think that is fine, but the bug is that when you hit "Refresh", it doesn't even try again. What I previously did was to unsubscribe and subscribe again. There is an easier way however. 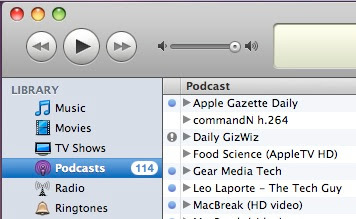 You can just right-click (or ctrl-click) on the podcast and choose "Update Podcast". Edit: It apparently also works in Tiger. Thanks Thomas Evan Lecklider! 1. 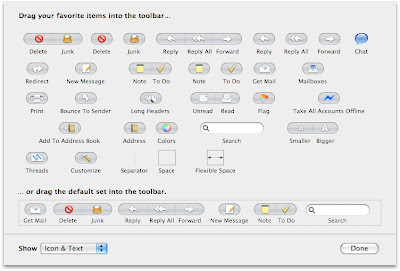 Right-click in the toolbar. 3. Add the "Threads" button. 4. When you click on it, you inbox will automatically adjust, sorting everything by conversation. Clicking on the blue arrow at the left of a message (a message that contains many more) will let you see every email in the thread. 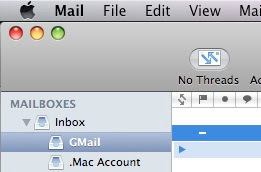 What makes this even better than Gmail is that it is really easy to activate or deactivate it. 1. Open the iPhoto menu and choose "Preferences". 3. 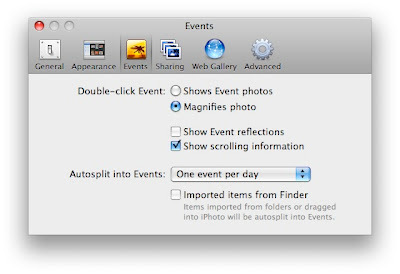 Choose "Magnifies Photo" instead of "Shows Event Photos". This is for both Tiger and Leopard. VLC is really a great alternative to QuickTime and I use it all the time when QuickTime is having problem getting the right codec. There is an interesting feature that I discovered that is similar to the behavior of DVD Player. If you want to go forward or backward in DVD Player, there is a new timeline in Leopard, but I still often prefer using a keyboard shortcut. 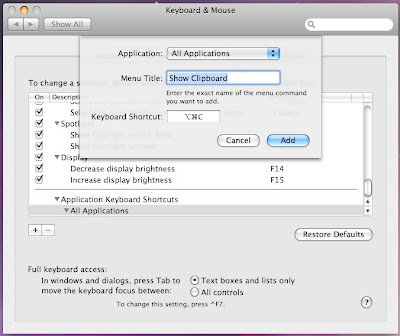 The keyboard shortcut works both in Tiger and Leopard and is "Shift - Command - Right Arrow" for going forward and "Shift - Command - Left Arrow" for going backward. What is news to me is that the same shortcut can also be used in VLC. What I like about the way it works in VLC is that it doesn't look like the old-fashioned vhs fast-forward and rewind like in DVD Player. It is actually possible to press "Shift - Command - Right Arrow" only once and it will move forward one minute. I only discovered this feature in the Leopard version of DVD player. It might also be in Tiger, but I never used it and I don't know where it is (please post about it in the comments if it is possible in Tiger). What this feature lets you do is zoom in on a movie in DVD player. I find this useful because I sometimes have poorly encoded DVD that have black bars on the top and the bottom or on each side. If your display doesn't fit the aspect ratio of the encoded DVD and black bars were included in the encoding, you end up with black bars all around and a smaller picture in the middle. 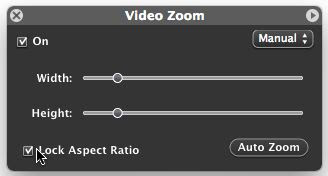 The zoom feature is available in the full screen controls, just above the timeline. It is the third icon from the right. It will let you zoom while keeping the aspect ratio or if you disable the "Lock Aspect Ratio", stretch the image (stretching the image is not really the best option). 2. Go to "Keyboard & Mouse". 3. Click on the "Keyboard Shortcuts" tab. 4. Click on the "+" to add a shortcut. 5. Choose the application you want the shortcut to be applied to. 6. Enter the command in the "Menu Title" text box. Make sure it is exactly like in the menu (include the "..." if necessary). 7. 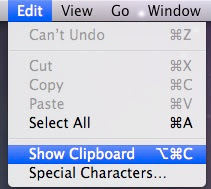 Choose the keyboard shortcut you want to apply to the command. Sorting on the desktop and everywhere in the Finder! 1. Press Command - J to bring up the View Options. 2. In "Arrange By", select the way you want the files to be sorted. 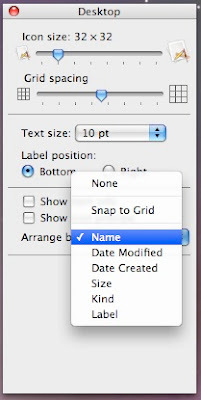 I chose Name and with this, each time I add a file, it snaps it to the grid and it adds it in the right alphabetical order. The Safari mobile version of a website! 4. 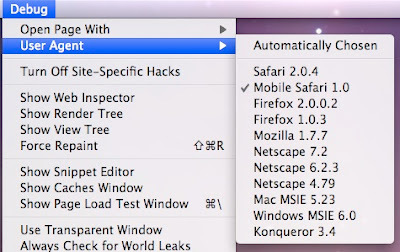 Reload Safari and the debug menu should now be enabled! 1. If you don't want to use Terminal, you can also do the same thing in OnyX. 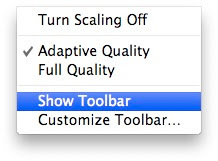 Check "Enable Debug Menu" in the Safari tab of the Parameters tab. Make sure you have the latest version of OnyX which is supposed to add Leopard compatibility. 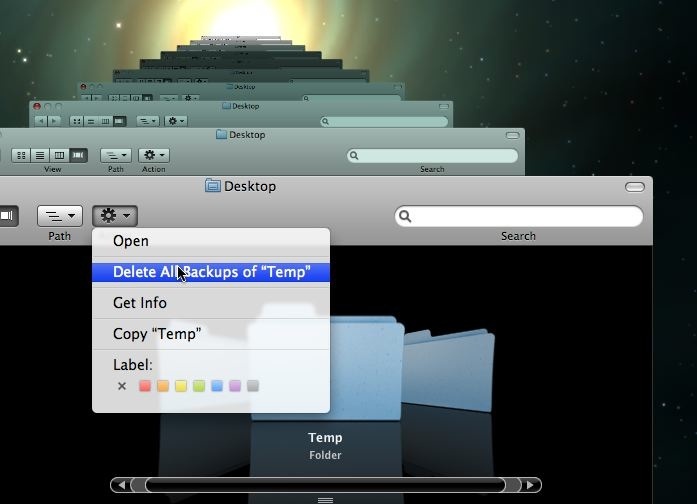 Truly deleting files from your Time Machine backup! One thing that can be worrisome about a Time Machine backup is security. If you are working with confidential files and you want to make sure they are erased when you throw them away, you'll have to check your backup. It is however very easy to eliminate a file from the backup. When you are in Time Machine, you simply select the file you want to erase, click on "Action" and choose "Delete All Backups of "name of the file"". 1. When the printer software is running, right click on its icon in the Dock (click and hold will do the same thing). 3. That's it! The printer software should now quit automatically after it is done printing.